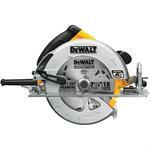 Most of these saws are designed with a blade to cut wood but may also be equipped with a blade designed to cut masonry, plastic, or metal. 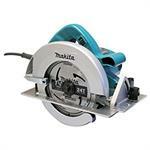 There are also purpose-made circular saws specially designed for particular materials. 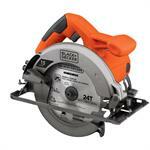 Black & Decker CS1014 Circular Saw 12 Amp 7-1/4 in. 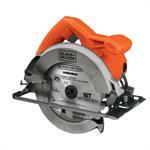 Black & Decker CS1015 Circular Saw 15 Amp 7-1/4 in. 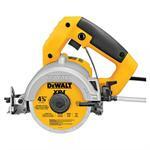 DeWalt DWE575SB Lightweight Circular Saw 7-1/4"
Makita 5007F Corded Circular Saw 7-1/4"